A while ago my son received some excellent joke cards as a present and I immediately realised that we had hit on something to encourage him to read more. 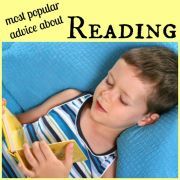 Although he is happy to read aloud to me, he is not that motivated to pick up a book and read to himself. Anything that gets him reading for pleasure, therefore, scores top marks with me. In order to build on my son's love of jokes and encourage his reading and writing skills, I suggested that he might like to make his very own joke book containing his favourite jokes. He jumped at the chance. 1. 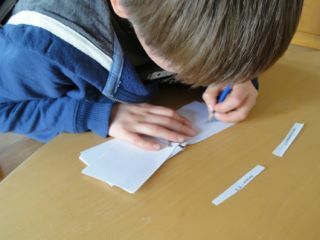 Cut three sheets of paper into eight equal pieces, making 24 small rectangles of paper in all. 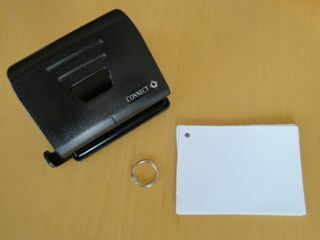 Punch a hole in the corner of these small pieces of paper. 2. Cut out two rectangles, which are slightly bigger that the pieces of paper, from an old greeting card to form the front and back covers. 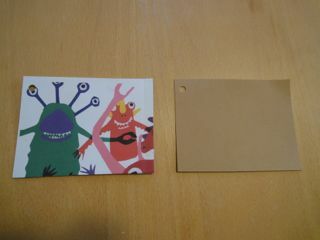 Punch a hole in the corner of these pieces of card also. 3. 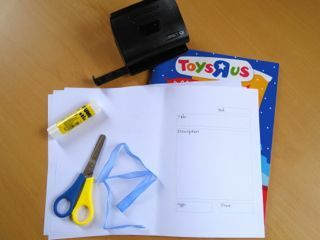 Attach the paper and card together using a ring binder or a piece of ribbon or string. 4. 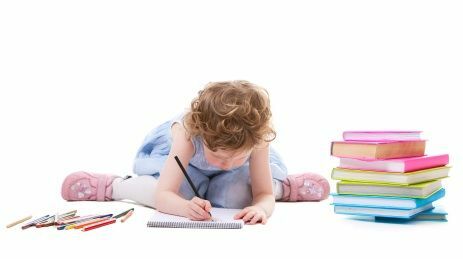 Ask your child to fill the books with jokes, putting the question on the front of a piece of paper and the answer on the back. 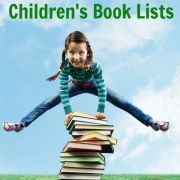 Your child can fill his book with jokes he already knows or take them from his favourite joke book. 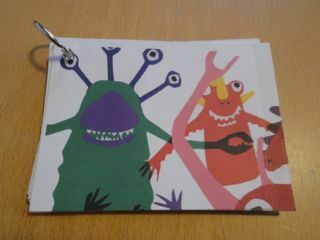 Alternatively, you can make a game out of choosing the jokes to write into the joke book, as we did. 5. Print out a list of jokes. 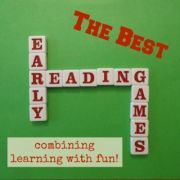 There are good ones at Ducksters, Activity Village and Kids Activities Blog. 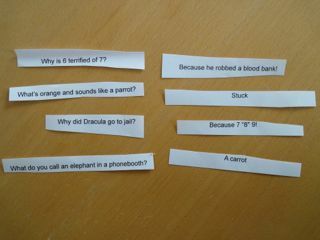 Then choose four jokes to start with and cut them out, separating the question from the answer. 6. 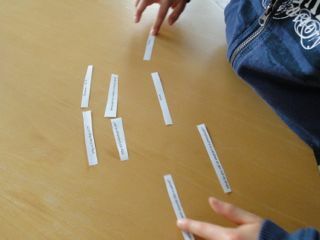 Next, lay out the questions and answers for the four jokes on a table, but muddle them up, so the answers do not match the questions. 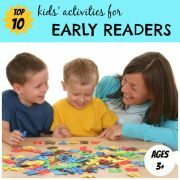 Then ask your child to read through the questions and answers and try to match them up. 7. 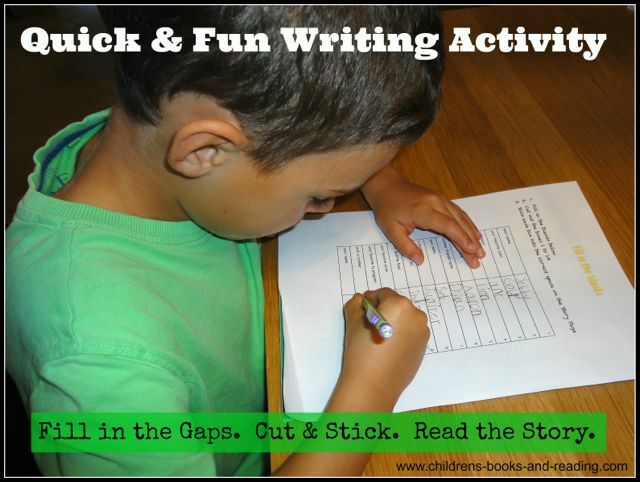 If your child finds a joke particularly funny, suggest that they write it in their book. 8. When they have finished with that batch of jokes, cut out another batch of four jokes and try again. If you want to make it harder, cut out more jokes at a time. Not only did my son practice reading, but it was also a good exercise in comprehension. 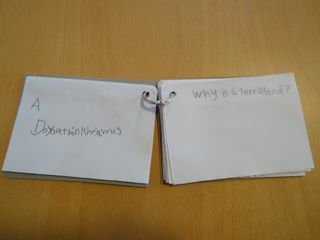 My son had to really understand what he was reading, in order to properly match up the correct questions and answers. 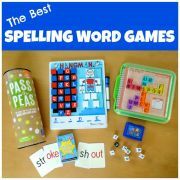 Plus it gave him practice writing, which all helps with improving his spelling. Best of all, of course, we had lots and lots of laughs! 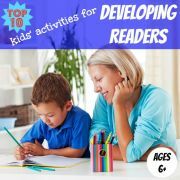 If your child wants to make more books, try these mini toy books or try some of these other activities for making your own books.